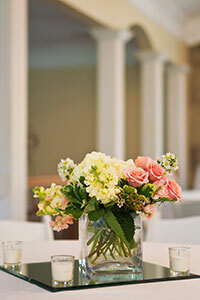 Chosen by Southern Living Magazine as one of the South's Best Wedding Venues February 2019 edition. 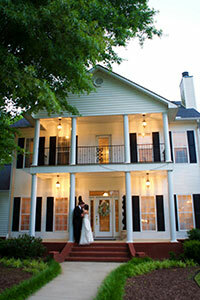 Annabella at Cedar Glen is a wedding and events venue located in northeast Huntsville, Alabama on three and a half scenic acres. Annabella was honored and chosen by Southern Living Magazine where it was published in the February 2019 issue as one of the “South’s Best Wedding Venues”! At the heart of the property lies a 5,600 square foot Southern plantation style home surrounded by lush gardens. With the beautiful landscape, elegant architecture, picturesque bridge, and two outdoor ceremony areas to choose from, Annabella provides the perfect atmosphere to host your garden wedding and reception. We can accommodate anything from the small intimate courthouse alternative wedding to our small wedding special up to the larger weddings where we can accommodate up to 175 guests. 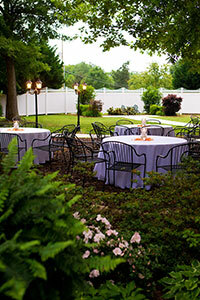 We can also host other events like corporate Christmas parties, baby showers and bridal showers. Annabella at Cedar Glen is where dreams become cherished memories! Visit us during our open house hours! No appointment necessary.